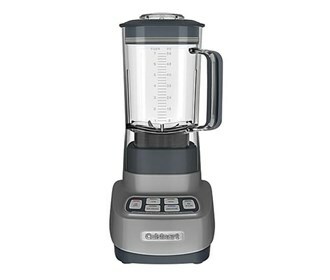 The Cuisinart SPB-650GMFR is sleek and powerful blender features Ice Crush and Smoothie controls, Low and High blending speeds, and a convenient Pulse function. Its generous 56-ounce durable BPA-free plastic jar features a tight-seal lid, soft-touch handle, and a 2-oz. measuring cap for precise measuring. The blender’s electronic touchpad provides easy selection for all your blending needs. 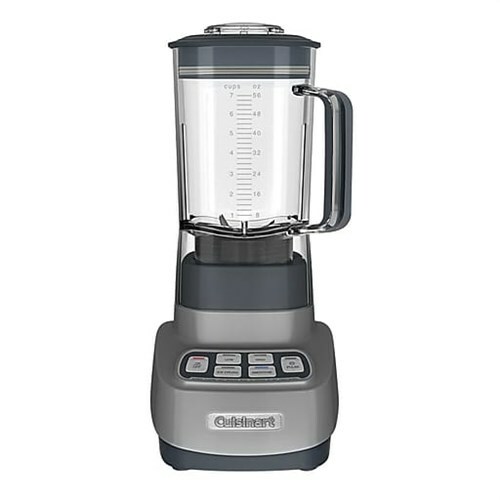 The Cuisinart Power 1-sp Blender has many exciting features for users of all types. You can extend the lifetime of your Cuisinart Power 1-sp Blender with the purchase of a FactoryOutletStore Factory Protection Plan.